Evolution poll: It’s OK to be a creationist. Just lay off the antibiotics. Do Americans believe in evolution? That depends on who’s evolving. According to a new Associated Press poll, only a slight majority believes that humans evolved through natural selection. 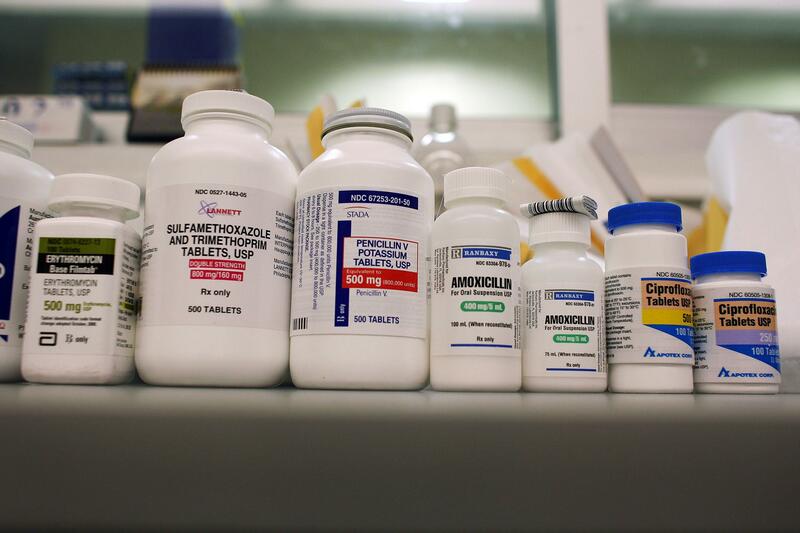 But almost 90 percent of us believe that bacteria evolve resistance to antibiotics. And that belief is far more important. The poll, taken by GfK Public Affairs, shows almost total consensus on the questions most likely to affect the average respondent directly. Look at the table below. More than 90 percent are confident that mental illness is a brain-related medical condition. More than 90 percent are confident that our genes help determine who we are. More than 80 percent are confident that childhood vaccines are safe and effective. For each of these statements, fewer than 5 percent say they’re not at all confident. As the questions drift from direct personal impacts to cosmic hypotheses, the level of certainty drops. Only about 55 to 60 percent are confident that worldwide temperatures are rising due to man-made greenhouse gases, that humans and other life forms evolved through natural selection, or that the earth is 4.5 billion years old. Still, these are majorities. The only statement in which a bare majority lacks confidence is that the universe began with a big bang 13.8 billion years ago. And that finding might understate belief in the big bang, since it specifies, with a decimal point, an age that some respondents might feel unqualified to vouch for. To me, the climate change numbers are the most troubling. They illustrate a weakness in our capacity to reason. Climate change, like smoking, vaccines, or mental illness, is a material problem that affects many people. But because its effects are diffuse and delayed, respondents are less compelled to face it. When your uncle dies of cancer, you can no longer ignore the perils of smoking. But when your great-grandchild suffers from global warming, it’s too late for you to get the message. The good news is that on evolutionary questions, this tendency to be moved by material practicality works in our favor. Compare the poll’s findings on human evolution with its findings on microbes. Only 55 percent of respondents are at least somewhat confident that “life on earth, including human beings, evolved through a process of natural selection.” But 88 percent are at least somewhat confident that “overusing antibiotics causes the development of drug-resistant bacteria.” Only 31 percent are very confident in the human evolution statement, but 65 percent are very confident in the antibiotics statement. If you’re a biologist, these numbers may gall you. How can people be so vain and obstinate, refusing to acknowledge that we, too, are products of evolution? But if you’re a doctor, a patient, or just another citizen, the willingness of your neighbors to accept microbial evolution is far more important than their unwillingness to accept human evolution. You don’t need them to concede the relationship between humans and apes. You just need them to understand their doctor, and follow her advice, when she explains why they shouldn’t use antibiotics for a minor infection. For most people who refuse to accept evolution, creationism is a compartmentalized fairy tale. It protects their faith in God and in human uniqueness. (In the AP poll, 72 percent of respondents say they’re at least somewhat confident that “the universe is so complex, there must be a supreme being guiding its creation.”) From the standpoint of scientific literacy, it would be better if people didn’t believe in fairy tales. But from the standpoint of public health and a well-functioning society, we just need them to lay off the antibiotics.